October 2015 Taurus Horoscope forecasts that professional issues will become more important gradually over family and personal self. Love relationships will be for fun but not serious. You will be more serious about your work rather than fun or pleasure. October 2015 astrology predictions for people born under the zodiac of Taurus indicate that collaboration with others and flexibility will help you achieve your objectives. Do not waste your time by working extra hard. It will be non-productive as the current planetary periods are not in your favor. If you are an unemployed Taurean, you have good chances of getting employment. Planetary dignities are still not favorable for career this month and the growth will be retarded. Businessmen will start new ventures. There will be many opportunities for business travel that will prove to be profitable. 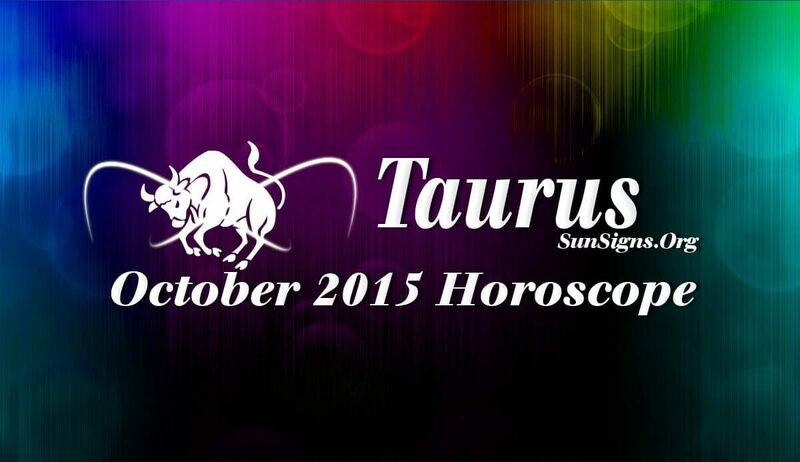 The Taurus October 2015 monthly forecasts show that earnings will be through profession or business after the first week. Risky investments involving money will be profitable. Family and friends will play a major role in helping you attain fiscal success. Your magnetism will attract people after the first week. Relationships for singles will be either serious or for fun and pleasure. Committed relationships will lead to marriage. Here are a few tips on how to get your man to commit. The first week is a good time for pregnancy during the presence of the Mercury Retrograde. Excellent health is forecast for the month of October 2015 for the Bulls. But you will need to include enough sleep and relaxation till the last week of the month. You will be more inclined to follow fitness and diet routines this month. You can try these Yogasana by the zodiac sign exercises for better well-being.